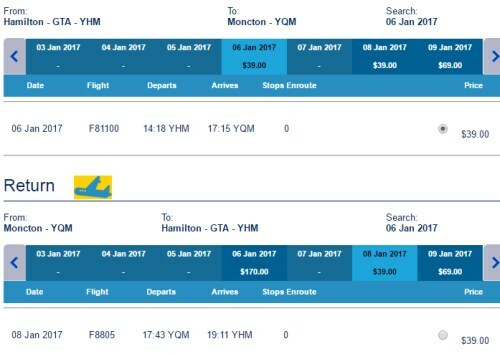 New Leaf has dropped the price of their January flights from Hamilton to Moncton, New Brunswick down to $78 CAD roundtrip including taxes. Update 12/9 - As of 11:50 AM EST there are still some first week of January roundtrip dates available for $78 CAD roundtrip including taxes. These seats tend to go quickly, as New Leaf just drops a few for this price. 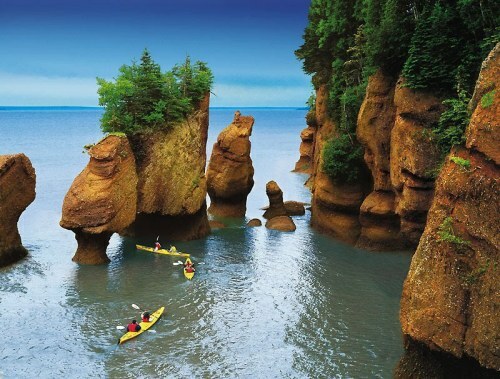 flight deals, canada, north america, hamilton, yhm, new leaf, moncton and new brunswick.